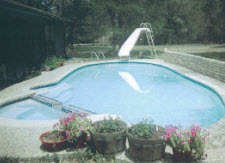 Cinderella Pools is a family owned and locally operated swimming pool contractor, offering services to the locals of the Greater San Antonio, Texas area since 2003. We are fully licensed and insured to provide our professional expertise and services to the Bexar and Kendall County communities. 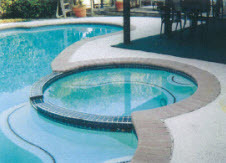 Cinderella Pools has the experience, skills, and training to ensure the services are completed with superior quality workmanship. Our priority is customer satisfaction and as a result, we are committed friendly customer service, exceptional work ethics, and high moral standards with every service we perform with phenomenal results. Cinderella Pools of San Antonio, Texas includes inground pool real estate closing inspection services for new home purchases on our service menu. A lot of homeowners use their pool as a bonus selling feature, but unless you are a pool expert, you may not know what to look for with your pool. 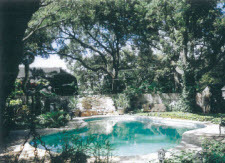 With a thorough pool inspection you can ensure you are not investing in a deteriorating pool. Home inspectors are not pool inspectors. They may know the basics, but they more than likely don’t know the subtleties that can make all the difference. At Cinderella Pools, our experts understand the inner workings of swimming pools, the moving parts, leaking issues, pumps, heaters, filters and plumbing. 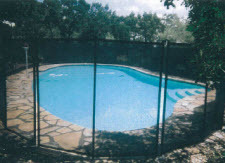 In addition to the pool, the deck surface, safety covers and hardware are all checked for condition and longevity. If you are looking for pool with your next real estate investment in San Antonio, Texas or surrounding areas, contact Cinderella Pools and let our specialists perform a closing inspection on your pool to ensure everything is in good standing. We also offer pool inspections as a preventive maintenance measure to catch small problems early where they can be repaired inexpensively before they escalate into expensive major repairs or even premature replacement!